I hope you have noticed the addition of the new digital badge to my homepage! 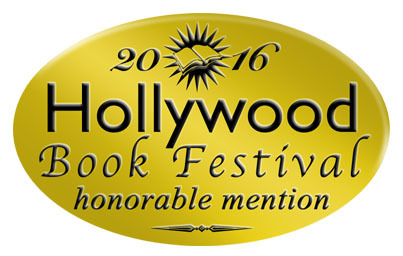 I am very proud of the ‘Honorable Mention’ that I received from The Hollywood Book Festival commending There Is Always More To Say. I have spent the last week catching up with the household filing which I have most definitely been ignoring recently! It’s a job that I don’t like at all. But a job that has to be done. Having resisted for so long I have now ploughed through the seemingly endless piles of receipts, medical reports and other similar official paperwork. I’m almost up to date! Job well done! Now I can get back to doing the things that I enjoy doing. With no guilt! I can return to my writing with a clearer head. Because I now have a clearer desk! Following her lovely review of There Is Always More To Say, Jo from jaffareadstoo hosted an interview with me which you can read here, along with the review in case you missed it the first time round! Thank you, Jo. I enjoyed chatting with you. A couple of days ago I woke up and decided that I needed to and wanted to join a creative writing class. Just like that! So I have enrolled onto a course @JW3London which I’m really looking forward to starting at the end of the month. I know that going to classes will give me the focus and that gentle push that I need at the moment. My head is so full of ideas and I hope that by going to classes I will gain some clarity as to what I should develop and what I should let go of! I’m looking forward to joining the class. I’ll keep you all updated! Two more reviews of There Is Always More To Say have come in recently. I am attaching both links here and here. I would like to thank both Sarah (@sarahhardy681) and Adele (@kraftireader) for having taken the time to read and review. I love these totally honest and unbiased reviews that I am receiving. They mean a lot to me. I hope everyone has a good couple of weeks. And please do continue to write to me with your questions about There Is Always More To Say. I should be able to answer them all! Trip to Budapest, and more. Back from Australia, and the end of Summer. Memories, Both Old and New. Thanks To A Wonderful Team! Lynda lives in London. She is a mixed media artist and There Is Always More To Say is her first novel.